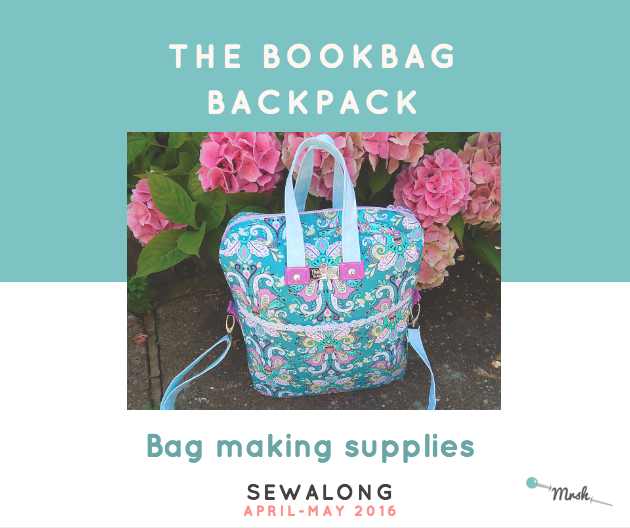 Welcome to the Bookbag Backpack sew along! Before we get to cutting and sewing, let’s gather our supplies. For this pattern, as you will use medium weight interfacing and foam stabiliser to give the backpack a structured look, you can use a variety of fabrics, from medium weight to heavy cottons, and cotton blends, canvas, denim. You can also use suede, natural or faux leather and depending on how structured you want your final backpack, you could consider skipping the foam stabiliser. Foam stabilisers are great because they give your handmade bags body, stability and an overall professional finish. (I use stabilisers for my Saddlebag, Nappy bag and Bookbag Backpack patterns, for example). But what's the difference and which should you choose? I’ve written a full post about it here. What if you don’t have any stabiliser at home and you want to give the pattern a try? You could try fusible fleece. Some of you have asked whether fusible fleece can be replaced. 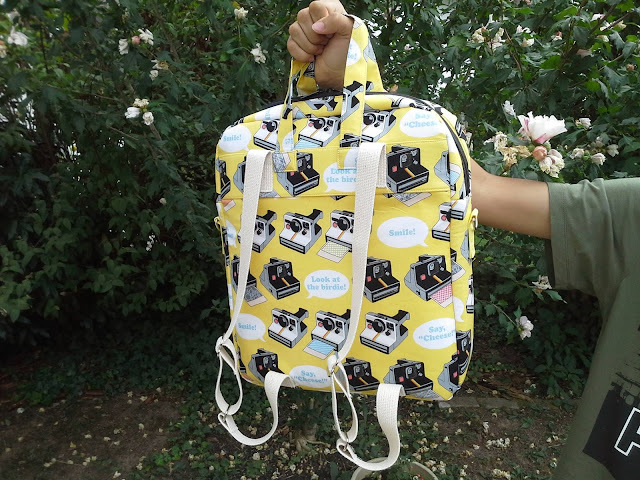 It can, but you’ll have to quilt over your fabric to keep your backpack looking sharp! Optional: 10 rivets, 26” decorative trim. For other buckle sizes, adjust the width to be four times the buckle width. If you’re still thinking about the final fabric for your backpack check out our tester versions. Ready for the next step in our sew along? Meet you here next Friday! In the meantime, get in touch here or via social media with your questions, ideas or suggestions!